Two youths are to appear at Kirkcaldy Sheriff Court tomorrow (Saturday, April 15). Two youths have been charged in connection with with a series of shoplifting, vandalism, minor assault and anti-social behaviour in Glenrothes. 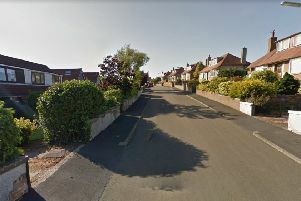 The incidents took place in the Woodside area of the town between March 31 and April 1. Two males from the town, aged 16 and 17, will appear at Kirkcaldy Sheriff Court tomorrow (April 15). Glenrothes Community Sergeant Paul Thomson said anyone committing such crimes would face the full force of the law. He said: “Violence, vandalism and anti-social behaviour will not be tolerated in Glenrothes.